It’s time to say goodbye to May! June is here, summer is coming back, I hope the good weather too, because it’s been cold for the last few days. It’s time to say goodbye to ‘Glee’ as the Musical Of The Month too. I hope you enjoyed it like me and remember all the good things and performances of the TV show. The entire show had 121 episodes. That’s a lot of songs, stories, characters, competitions, and performances… Of course I’m missing a lot of things, it’s impossible to fit all of them in one month. I hope you don’t mind, I can write about the show again someday, who knows? June is here, it’s time for a new musical, but this month will be a little bit different, not exactly dedicated to one musical. On the 20th and 21st of June, in Trafalgar Square, there will be one of the most important events for musical theatre lovers in London: West End Live. Is the festival of musicals, most of the shows performing a few songs for free. This month, I want to dedicate all the post to this important event, because I think that it’s a very special celebration, I’ve been waiting for it for the whole year. All the post will include some information about musical theatre and London. I want to share with you my experience and all the things I’ve learned in the city (related to musicals, of course). Don’t panic, a new show will come next month! Get ready for the biggest celebration of musical theatre in London: West End Live! Esta entrada se publicó en Glee y está etiquetada con Glee, Musical Of The Month en 31/05/2015 por cesarmp90. From the beginning, ‘Glee’ has been organised by subjects. This means that every episode is about something different, like faith (‘Grilled Cheesus’, in the second season, one of the worst and conservatives episodes ever), respect, Mash-Up or love. Every week, Will Schuester used to choose a topic so the New Directions had to prepare songs related to it. That was the first episode dedicated to an artist. It was on the first season. Sue Silvester is a fan of Madonna and she wanted the Cheerios to perform some of her songs. But Will decides that the New Directions should do the same and get inspired by her lyrics about equality. Is the opportunity to perform some of the hits of Madonna, like ‘Vogue’, ‘Express Yourself’, ‘Open Your Heart’, ‘4 Minutes’… I think that the best performance is ‘Like A Prayer’. Starts with Rachel all alone in the middle of the stage and the rest of the group coming to join her and dance. At the end, a Gospel band also sings. In this case, two episodes were dedicated to one of the most important pop singers, Britney Spears. We all remember her songs, due to her popularity and fame. The first episode was on the Second Season. It was kind of weird, because the guys are going to the dentist but the anesthesia make them watch hallucinations. They all see themselves singing and dancing Britney’s songs. There is even a cameo in one of the scenes. The best performance for me was ‘Toxic’. I think that the way they performed it was really good. All the guys dressed with a suit, you only see black and white. The choreo is great too, with some kind of sensuality. Probably Britney Spears was very happy with the result. Looks like the whole ‘Glee’ has done lots of tributes to Lady Gaga. There are plenty of songs in Six Seasons. But it’s very obvious why. To be honest, I don’t like Lady Gaga, I recognise that she is very talented, she has proved several times that she has a great voice, but I don’t like that all her songs are electronic, it’s not the kind of music I like, so I find most of them boring. But don’t get me wrong; she has a lot of good things. She is a great performer; she has innovated a lot, creating visual and unique shows and videoclips that are an inspiration for lots of people. She also sings about respect and tolerance, especially for homosexuals, and I think it’s great that she can send these positive messages to the entire world. Her messages and her performances fit very well on ‘Glee’. Even her extravagances are such an inspiration for the members of the Glee Club. Lots of songs have been performed in the show, like ‘Bad Romance’, ‘Applause’, ‘Marry The Night’, ‘Telephone’ or ‘Edge Of Glory’. My favourite is ‘Poker Face’. Basically I think that, finally, they did a different cover of the song. Played in the piano sounds really good, with the voices of Lea Michele and Idina Menzel. To be honest, I still don’t get why they choose this song. Listen to the lyrics and try to understand why a mother and a daughter sing this together. ‘I’ll get him hot and show him what I’ve got’. Seriously? It’s not a familiar song at all. It’s very funny. I love Katy Perry. I have a special part in my heart for her, I just do. I think that she is great, innovative, positive and lovely. Watching her performing live in Barcelona with Daniel was one of the best experiences ever. But coming back to ‘Glee’, I think that she has a style and personality that also fits very well in the show. That’s why lots of songs where performed too. There are a few songs performed in the whole show, like ‘Wide Awake’, ‘Firework’ or ‘I Kissed A Girl’, but if I have to choose, I would say that my favourite is ‘Teenage Dream’, performed by the Warblers. I like the style of that band, the songs sound different, like a kind of cappella. I only think: what kind of band is that, with only Blaine singing? But it’s a good cover of the song. Of course, a tribute to one of the most important British bands ever. In this case, there were to episodes in a row dedicated to them. The first two episodes of the Fifth Season are a tribute to The Beatles. Both episodes are not important in terms of the story. Anything new is introduced; everything is the same since the finale of the Fourth Season. It’s just one more day in High School performing new covers from The Beatles without any special reason. Meanwhile, in New York, Rachel is trying to get her part in ‘Funny Girl’. 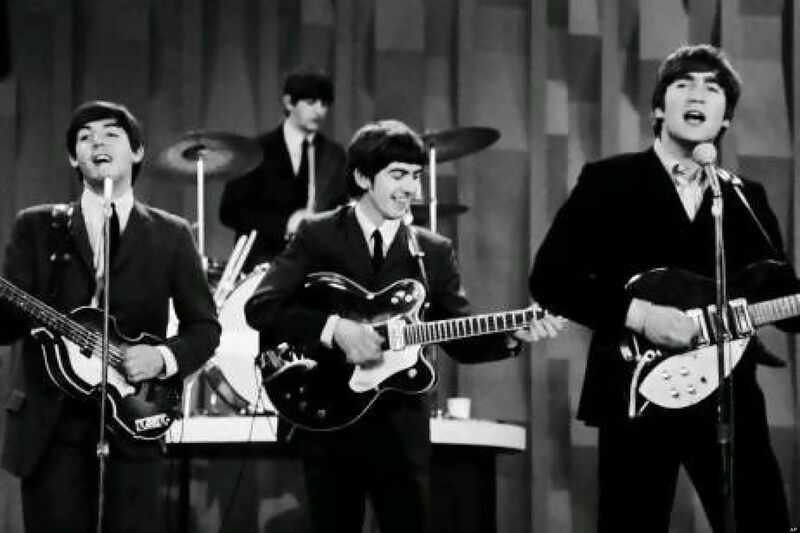 In two episodes we could hear ‘Yesterday’, ‘Help!’, ‘All You Need Is Love’, ‘Hey Jude’, ‘Let It Be’… All of them are great hits, known by everybody. The best performance, for me, was ‘Imagine’, in the First Season. That’s the kind of scenes that we should remember of ‘Glee’. They are dramatic, with lot of heart and beautiful. The New Directions perform with the Haverbrook School for the Deaf Glee Club. They sing while they use sign language to express all the feelings and emotions of the song. There are lot more of tributes in ‘Glee’, like Carole King, Michael Jackson and even Miley Cyrus. Which one is your favourite? Do you think it was a good idea to produce this kind of episodes? Esta entrada se publicó en Glee y está etiquetada con Britney Spears, Glee, Katy Perry, Lady Gaga, Madonna, The Beatles en 30/05/2015 por cesarmp90. Arts are very important. They develop creativity to solve all the problems in life. I think that the most important message of ‘Glee’ in six seasons is to protect arts. It’s important that young people improve their creativity, is the only way to become a better society. And that’s something we must appreciate ‘Glee’s job, trying to sensitize the population. In the case of ‘Glee’, arts are shown as singing, dancing and performing. But don’t forget that arts are also writing, reading, directing a film, painting, taking pictures and an endless list of activities. I think that ‘Glee’ inspires the audience to find their motivation and dreams, and fight for them to become real. Esta entrada se publicó en Glee y está etiquetada con Glee en 29/05/2015 por cesarmp90. There are lots of characters on ‘Glee’. It means that they can represent a lot of ethnicities, sexual orientations, personalities, qualities… Lot of people who used to watch the show, could feel related to some of them. All the characters meet in the Glee Choir, without differences or inequalities. They just perform and sing their feelings and emotions, and that’s something amazing, touching, inspiring and also a bit overblown. Let’s check some of that distinctness that I remember from the show. She is a Latin American and bisexual girl. She represents all the Latin American people in the American society. She is strong and temperamental, but she is also very clever and has a lot of talent, dances and sings very well. She is destructive at the beginning, as a Cheerleader, she is bullying some of the students, but later she is bullied for being a lesbian. She fights for respect, tolerance and acceptance. Probably one of her best performance on the show is ‘Don’t Rain On My Parade’, on Season 5. She joins the auditions for ‘Funny Girl’ like Rachel. In fact, in that Season, Santana looks like her only purpose is to follow Rachel’s success and destroy her (and Rachel gets paranoid). It was a bit boring, but we were delighted with Naya Rivera’s voice performing that amazing song, as good as Lea Michele on the first season. He is disabled, using a wheelchair. He represents the disability on the society, but in a very positive way. He is able to sing, dance, fall in love, move to a new city and fight for his dreams. He has a lot of style and self-confidence, which is a great example for all the people who are in a similar situation like him. He is not different from the rest for being in a wheelchair, he is as important as everybody. My favourite performance of Artie is ‘Safety Dance’. Of course his dream is to walk and dance, like the rest of the people, and that causes him frustration. He dreams that he is able to dance in a supermarket. It’s a wonderful scene and very entertaining, with a great choreography. She is from Asia, which is a ethnicity also very important in America. In the case of Tina, she changes a lot during the show. She starts as an emo, stammering and introverted, and at the end she is a very friendly girl, kind and nice with everybody. She is great, she fights for become a singer and an artist like Rachel, but when she realises that she is not like her, she just accept that, encourages her and takes her own way to success. Which is a good message too, everybody is different and important in the world. Her performance I remember is ‘I Don’t Know How To Love Him’, of course, from ‘Jesus Christ Superstar’ on Season 4. She is confused and in love with Blaine, but he likes Sam. So it’s the best song to choose in that love triangle. He is a crazy guy, sometimes you are not sure what is he thinking of, but he is also the reflection of the economic crisis. His family lives an eviction, so he must find a job, leaving his studies, to help. It’s a hard situation but also real. Even this, he overcomes and learns a lot about it. So he reflects the strenght to overcome and solve hard situations. He performed ‘Billionaire’ the first time he appeared on the show on the Second Season. To be honest, is not one of my favourite characters by far, but he has some sense of humour and he is charming. And I could write about all the characters on the show, because all of them have something especial and different that reflects lots of situations of society. Is there any character you felt identified with for some reason? Esta entrada se publicó en Glee y está etiquetada con Glee, Ryan Murphy en 28/05/2015 por cesarmp90. In ‘Glee’, from the very beginning, has focused on Rachel’s story. And that’s great, you know I like her so much, but there are some other characters, actors and actresses as good as Lea Michele. And sometimes, we could be surprised and impressed by their performances. On the first season, I’m sure all the audience was in shock after watching one of the first Mercedes’ solos. 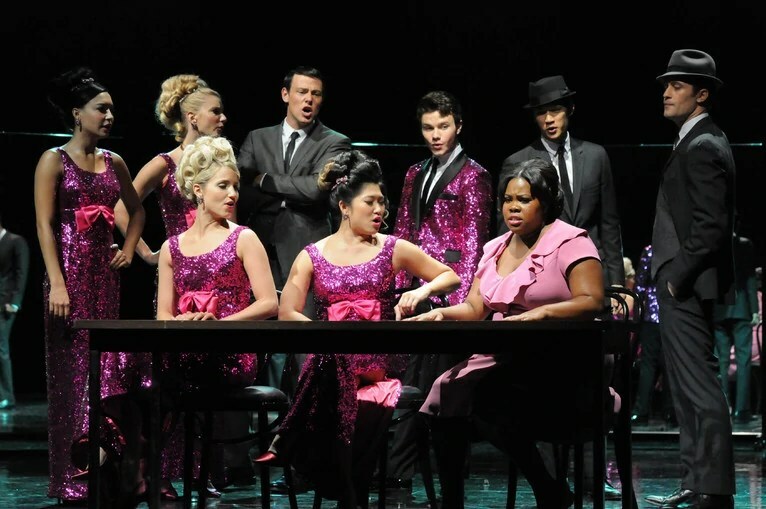 The New Directions are preparing the songs for the Sectionals and they decide that Mercedes will sing a solo. They finally change the playlist because the other opponent groups are performing it too. That’s the moment when Rachel sings ‘Don’t Rain On My Parade’ by Funny Girl. But as audience, we could enjoy and discover Amber Riley’s talent. Her voice is so strong, with a great range, so powerful and unique. She performed ‘And I Am Telling You I’m Not Going’. This song is from the musical ‘Dreamgirls’ (a show that it’s coming soon to London, hurray!!!). I think that is one of the most powerful diva songs in musicals of all time. In the original show, is performed by Effie White (Jennifer Hudson in the movie adaptation). The lyrics are just amazing, the character is so devoted and in love with her manager’s Curtis Taylor Jr. In fact, Mercedes Jones has a lot in common with Effie White. On the first hand, they are extremely talented, with great voices out of ordinary. And then, at the beginning, they are misunderstood, undervalued, but then they can prove and show their spectacular range and talent. So I don’t think that this song was chosen by accident for Mercedes. I’m sure I’m not the only one who enjoyed this performance, one of the best by far on the whole show, in six seasons. Daniel that’s for you, because you are so in love and obsessed with diva solos. I think that Amber Riley’s voice was very important on ‘Glee’, because it means lots of great songs and high notes. So we could be delighted by ‘And I Am Telling You I’m Not Going’. Let me know, were you so impressed with this performance? Esta entrada se publicó en Glee y está etiquetada con Amber Riley, Dreamgirls, Glee en 27/05/2015 por cesarmp90. ‘Glee’ is a musical show with lots of covers. To be honest with you, I think that most of them were quite boring. When I listen to a cover of a song, I expect it to be different from the original. Of course, many people will say that the original is the best, but if you are making a cover, you should make it a bit especial. But this doesn’t happen on ‘Glee’. The songs are just the same as the original (with some exceptions), with the same musical base and only a different voice. The cast of ‘Glee’ is very talented, and it’s great to hear their voices, don’t get me wrong, but as a fan of musicals, I expected something more original or innovative. Anyway, some of the covers were really good. If ‘Glee’ is popular for something, is for the Mash-Ups. It’s a combination of two songs that not necessary have any kind of connection. I think that’s a great idea because it gives a kind of fresh air to the song and it’s a different interpretation. Just at the beginning of the show, the girls of the Glee Club performed this Mash-Up. I like the way they did, wearing a yellow dress, very simple and cute. It’s a nice choreography, and I think that the choice of two popular songs is great. They are easily recognisable because ‘Halo’ from Beyoncé is very famous and ‘Walking On Sunshine’ by Katrina & The Waves too. Both songs are positive and catchy. The Troubletones, a subgroup of the New Directions in Season 3, perform a Mash-Up with two of the most popular songs by the British singer Adele. I think that this performance is great because, first of all, Adele is really good, so her songs are amazing, full of emotions, so dramatic and moving. And in second hand, I think that it was a great choice on the story. Santana is being bullied for being lesbian, so these songs can express very well her feelings. Also, is very well performed, with a nice choreography, simple and functional. Santana is also a great character on the show. She is strong, a cheerleader, but you can discover that she has a good heart and good intentions too. But probably the most enjoyable part of her is watching her being just rude. Naya Rivera is also a very talented girl, with a great voice too as you can see her singing this Mash-Up. During the show, she also has some memorable solos. But in this scene, you realise that Santana looks so secure of herself and strong all the time, but she is also feeling so much pain for being discriminated and bullied. So this Mash-Up could be considered a song for respect and tolerance. This is one of my favourites Mash-Up too, performed by The Troubletones again in Season 3. That’s her last performance, because they lost on the Sectionals. But the members of the group went back to the New Directions. I think that this Mash-Up is really good because they mix two popular songs, recognisable by most of the audience. ‘I Will Survive’ by Gloria Gaynor is a gay anthem and ‘Survivor’ is a famous song by Destiny’s Child, the first Beyoncé’s band. The Mash-Up is basically the first song with some of the chorus of ‘Survivor’. I like the performance, all the girls dressed in a grey shinny dress with a simple choreography but very visual. Of course they didn’t win because New Directions had to, but they did a good performance too. On the second season, the girls from the New Directions perform another Mash-Up. In this case, a rock song, full of energy and power. The songs chosen are classics, by Bon Jovi and The Rolling Stones. The performance is great, with the songs chosen, dressed with leather jackets, curly hair and boots. It’s just fantastic and worth to watch it. My last Mash-Up, basically because I would feel bad if I only show you Mash-Up performed by girls. In this case, it’s performed by the whole New Directions in the Regionals, in Season 3. The original songs are from Nicki Minaj and and R. Kelly. I think that what I enjoy the most of this performance is the choreography, because the guys go up and down the stairs all the time. It’s a beautiful effect, with the smoke on the ground that looks very good. Is there any other Mash-Up you remember? 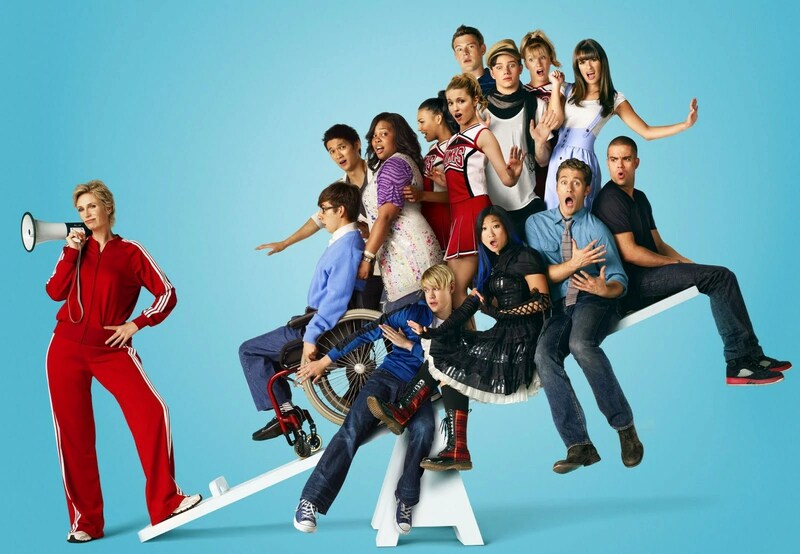 Esta entrada se publicó en Glee y está etiquetada con Glee, Mash-Up en 26/05/2015 por cesarmp90. ‘Glee’ has an especial connection with musicals. Most of the songs, stories, characters or even actors or actresses are coming from Broadway. At the beginning of the first season, the actress Kristin Chenoweth appeared playing April and performed probably one of the best scenes on the whole show. You probably know who is Kristin Chenoweth, but just in case, she is an American actress and singer. Although she has been in many films and TV shows, like ‘Pushing Daisies’, ‘The Good Wife’ or ‘The West Wing’, she is better known for performing on Broadway in shows like ‘Wicked’, ‘You Are A Good Man, Charlie Brown’, ‘Promises Promises’ and ‘On The Twentieth Century’. In ‘Glee’, Kristin plays April, a weird and funny woman. She used to study on the McKinley High School with Will Schuester. She has some problems with alcohol because she is really frustrated, her dream was to become a Broadway artist, but it didn’t succeed. Se is really funny, charming and endearing. She helps the Glee Club so much, buying for them an auditory so they can perform. The most memorable scene of Kristin Chenoweth in ‘Glee’ is singing ‘Maybe This Time’, from the musical ‘Cabaret’. In fact, April and Sally Bowles are not that different. Both of them are extremely talented but frustrated and tired with life. Everything has been so unfair with them, especially in love. So I see ‘Maybe This Time’ as a very dramatic song, performed by a woman with lot of personality. This song is for Daniel, so in love with this diva solo and Kristin. I enjoy that her voice and this song inspire you so much. ‘Cabaret’ is one of the most important musicals in history, with music by John Kander and Fred Ebb. In Germany, before Hitler won the elections, Cliff, an American writer, arrives to Berlin. He goes to the Kit Kat Club where he meets Sally Bowles and they have an affair. The club is very provocative and critical with Nazis and it means lots of problems for the main characters, because they are very liberal and related to the Club. Kristin Chenoweth and Lea Michele do a great duet. I used to enjoy this kind of performances on ‘Glee’, fresh, surprising, unexpected and breathtaking. It’s amazing how two different stories are related by a song. And I love that a song can share same feelings and emotions in two different situations. What do you think about ‘Maybe This Time’? Esta entrada se publicó en Glee y está etiquetada con Cabaret, Fred Ebb, Glee, John Kander, Kristin Chenoweth, Lea Michele, Rachel Berry, Sally Bowles en 25/05/2015 por cesarmp90.